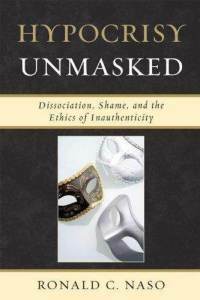 Hypocrisy Unmasked aims more broadly to situate the phenomenon of hypocrisy within a postmodern framework, explaining it as a compromise fashioned by an embodied agent struggling to adapt and flourish amid moral ambiguity and uncertainty. Because morality ultimately is subjective, hypocrisy can no longer be conceptualized as an objective property of behavior or an empirical consequence divorced from the belief systems in which the agent is embedded. For this reason, this book argues that hypocrisy is neither inherently vicious nor virtuous. Instead, it is more usefully regarded as a condition of our humanity, one that speaks deeply to the conflicts and competing interests that define who we are.